Historical Atlas of World Mythology. 5. Volumes. 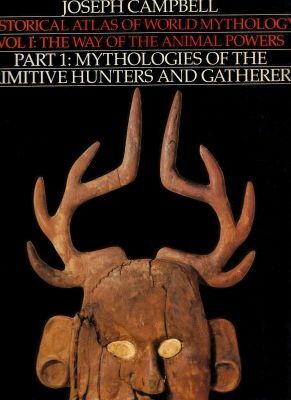 Volume I- THE WAY OF THE ANIMAL POWERS, Part I: Mythologies Of The Primitive Hunters And Gatherers, 125 pages, illustrated. Volume I- THE WAY OF THE ANIMAL POWERS, Part II: Mythologies Of The Great Hunt, 276 pages, illustrated. Volume II: THE WAY OF THE SEEDED EARTH, Part I: The Sacrifice, 126 pages, illustrated. Volume II: THE WAY OF THE SEEDED EARTH, Part II: MYTHOLOGIES OF THE PRIMITIVE. Softcover, 5 volumes set, Enkele kaften hebben lichte gebruikssporen, Binnen werk is overal goed geen aantekeningen of onderstrepingen.